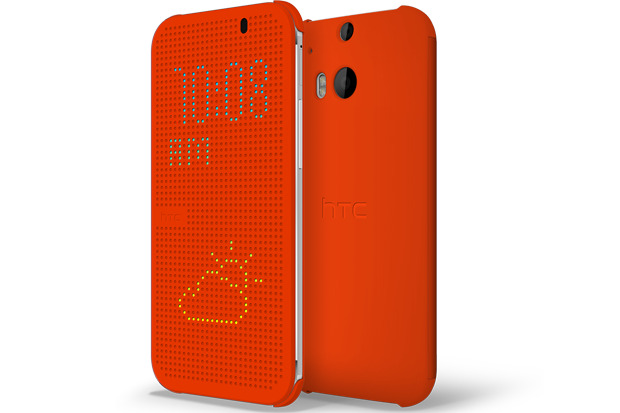 While it's rather pricey, the Dot View case for the HTC One (M8) is one of the most interesting accessories we've seen for a smartphone. The perforated case that only allows dots of light through gives off a very nice effect, and its accompanying app just got a whole lot better. The Dot View app update is now available in the Google Play Store, and offers the ability to select a wallpaper that will be displayed when you unlock the M8 (there are 19 provided in the app, or you can use your own). The result is very nice visual touch, but that's not the only new feature you'll find in the update. Now, you can also view the last three calls from your call log directly from the case itself and return a call right from there. On the Google Play Edition of the M8, you can see the call history but I was unable to select one to send a call. This might be because the dialer isn't a HTC-made app on the GPE verison of the M8. 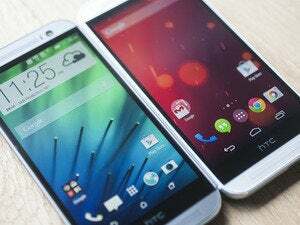 Those rocking the standard HTC One (M8) also have the option to see more notifications by swiping left or right, another feature you don't get on the Google Play Edition.